- Space saving—The active equipment and backbone cable are good for saving space. - Easy deployment—Factory terminated system saves installation and network reconfiguration time. - Reliability—High standard components are used in the manufacturing process to guarantee the product quality. 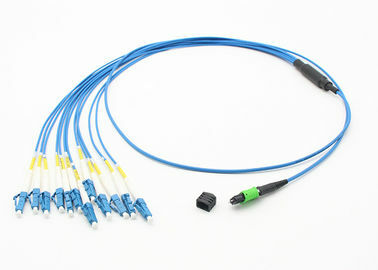 MPO-LC Fiber Patch Cord are terminated with MPO and LC connector on both end. 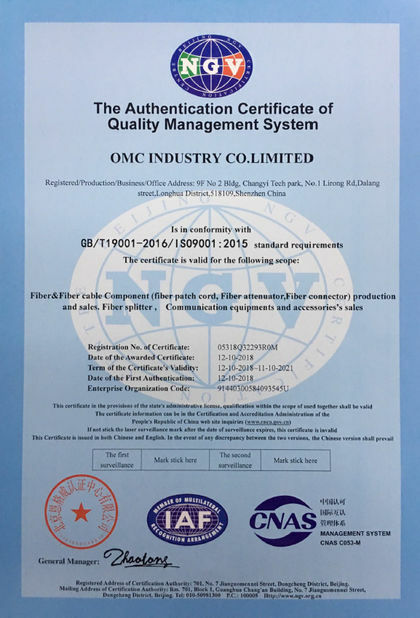 All of OMC’s MPO Connectors are from Taiwan,Japan etc. 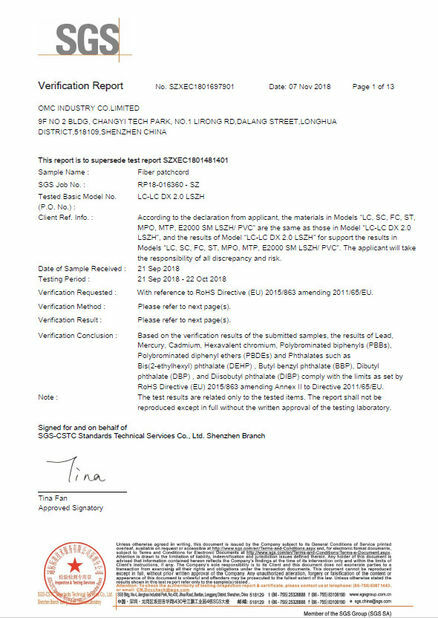 LC: TIA/EIA, FOCIS10, GR-326 EIA/TIA-604-10, IEC61754-20 and JIS C5973. - Patch cord, pigtail cable assemblies available. - MT-MT ribbon patch cord is available.